It is exciting to see the developments in Iceland as it relates to Entrepreneurship and Startups. There has been a number of developments right after Startup Iceland 2013 that I think are watershed moments. I believe the Startup Reykjavik program has come of age even in a very short history of only graduating 2 batches. We still don’t have big funding or acquisitions right after Demo Day yet but I am pretty confident the teams that have gone through the program feel a sense of believing that they have a fair chance to win or atleast reduce their odds of failure. 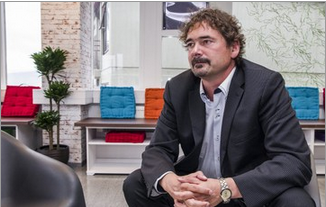 And it was great to see that Jon von Tetzchner has just launched a Co-working space for Startups right here in Iceland. He should know a thing or two about building a Startup and building an environment that is conducive for Startups and Entrepreneurs. There is more and more support for startups and I believe the community is starting to believe as well. Carbon Recycle International another startup that has been in existence for quite sometime now just got a big cash injection from a Canadian listed company. The startup ecosystem is starting to diversify. All this being said, I still think that we need more policy support to ensure that companies at the early stage can really get a fair shot at breaking out. And obviously we could do with more funding options. There is just not enough people wanting to invest their time and effort to really get their hands dirty at building companies from an investor perspective. I think I know why… there are so many easier options to make money than to invest ones time and effort and everything else in a startup or an entrepreneur. My partners and I believe that it is worth it and we continue to invest our time, effort and money in the Entrepreneurs in Iceland. We have some ideas brewing so watch out for more news coming from us. >> there are so many easier options to make money than to invest ones time and effort and everything else in a startup or an entrepreneur.